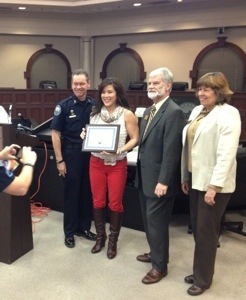 Finally graduated the Roswell Citizens Police Academy last night. I can’t speak highly enough about this community program. Thank you to the Roswell PD and officer Lisa Holland, Lawanda Kornegay and Tracey Hanrahan for organizing this 10 week class. 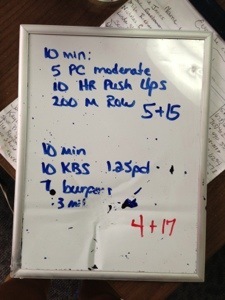 My first sorta real wod since the back injury. James told me to go by feel and use moderate weight. I started the power clean with 75 but then used Vickie’s 85# bar. It felt great so I stayed with it. The second map was just a lung burner. Back felt great throughout. Many thanks to Dr. Sadri and Dr. Vicki for helping me. Had a follow up with Sadri today. I got cupped. No PR today. Wasn’t feeling it. 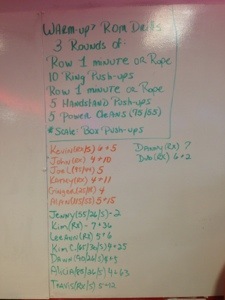 I did get 22 more reps on the AMRAP though then last time but its possible I had the wrong weight on the bar. So I either did 30 reps with 140 or 150. Cf Destin seems to do a lot of tester style wods. Very endurance heavy. 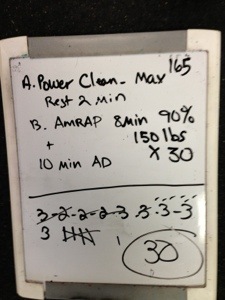 This wod was a 20 min AMRAP of 10 power cleans 135/95, 15 kbs 53/35 and 25 double unders. I got 7 + 36. Well, I did three of these maps at 80% but it was hard for me to bring it down from Wednesdays 90%. 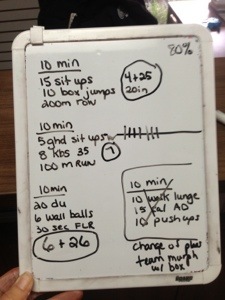 So for the fourth set I joined in with the group class and did team murph. 2 miles + 10 rounds of Cindy. Each round had about 30 seconds rest. Interested in programming? Call for an appointment.